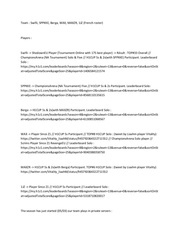 Ce document au format PDF 1.7 a été généré par / Microsoft: Print To PDF, et a été envoyé sur fichier-pdf.fr le 19/02/2019 à 05:48, depuis l'adresse IP 91.167.x.x. La présente page de téléchargement du fichier a été vue 178 fois. Taille du document: 443 Ko (11 pages). This competition brings together teams from a community of &quot;Grand Prix Racing Online&quot;. 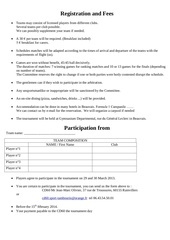 Registration will only be valid once this composition has been sent and validated. will be no substitute in composition. - The team must find a name mentioning the 2 teams of origins. - An alliance can be made between maximum 2 teams. - The total of players of these 2 teams must not exceed 12.
participating in the competition. The others will not be able to participate in this season. team. The change will be taken into account for the next round. send a new standard composition (Article 1.3). gpro (leader of the team, rank 2, rank 3, etc.). A notification will then be sent to the captain. Note: In case of departure during the game, the starting manager will be considered a DNS. community commissioner), or directly on the forum of the Chopped off. the seed table (Article 3.3). leagues, the next 8 to 16 teams in silver leagues, and so on. 2 singles - 1 double - 2 singles. The schedule of the cup will be fixed on the GPRO calendar (1season gpro = 1 season of cut). group of nations). There will be one cup per nation. - It will take a minimum of 6 teams in the federation. (Maximum of 32). - The federation must have a commissioner responsible for monitoring the federation. - The federation must be validated by the organization. that same nation (or nation grouping). automatically be registered in the International Federation. 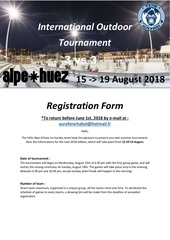 (Minimum of 6 teams registered). Four International Federations will be available. 3 Continental (Europe, America and AsiaOceania) and one World. be changed except to join a National Federation. least one Gold division of 2 groups of 3 (Group A and Group B). derogation must be done on a case by case basis. 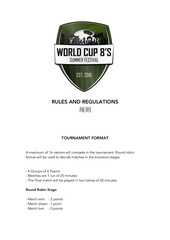 - For the Gold division, it is necessary to have between 6 and 8 teams registered. the waiting list will be automatically qualified for the following season. 2 pools of 4, and a pool of 4 in the Silver Division. The 13th team will be on the waiting list. And so on for the following divisions if the number of registrants is greater than 32 teams. cup, there will be in this case 2 groups of 3 only. groups. This order is fixed from one season to another. after the play-offs, between GP2 and GP3. on the cumulative scores obtained in GP 1 and GP 2. And so on in the lower divisions. The victory gives 1 point, the defeat 0 points. except that each day there will be a team exempt. This will be the team that faced team 4.
team 1 on the third. 1- the &quot;goal average&quot; of the points obtained at each meeting. 2- The number of points registered on all 3 meetings. 3- The number of points collected on all 3 matches. 4- The result of the match between the two teams. games) will decide the teams. 14, then in the final and small final for GP 15 to 17.
final, final and small final. The platinum division is an extra level to national cups. 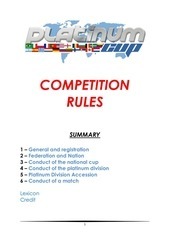 The operation of the platinum cup is the same as for national cups (Article 3 in its entirety). between the national division and the international division (Article 4.4). team quota of each federation. This quota will consist of 2 parts: a fixed and a variable. - The fixed part will always be 1 minimum team per federation. number of federations article 5.
in the number of places in his nation. federations registered according to the distribution of article 4.4.
will be the last place. winner of the small final. 3rd against the 4th. The winner of each dam will be qualified. compete in a play-off match. The winner of this match will be qualified. winners of these matches will be qualified. 6th, 2nd against 5th, 3rd against 4th. The winners of these matches will be qualified. 4th, 2nd against 3rd. The winners of these matches will be qualified. - 15 federations: Only the winner of each federation will be automatically qualified. 5 games), which will calculate an average per team. An encounter opposes two teams that compete in the form of a Davis Cup round. team that wins at least 3 matches of the match. so on for the following DNS. number of DNS of each of the 2 participants. The one who did the least will be qualified. will make confront the 2 members of simple 1, then the 2 members of simple 2, etc. make 2, with the obligation that one of these 2 matches is double. be able to make 2 matches in the same match. published on the day of the GP. retain the standard team (Article 1.2). - There will be no more composition accepted as soon as the table will be published. on the day of the GP. the standard team (Article 1.2). the team and align the team (Article 1.2). and the model team will be aligned (Article 1.2). - The replacement of the typical team will be replaced. secret until the validation of all the teams. submitted no later than 3 days after the first GP of the match. forum. The procedure will be the same in case of error during the retranscription of the results. not be taken into account. Note: All claims after doubles will no longer be taken into account, even if justified. Note: The rule gpro 6.4 for new players of a team (25% -50% -75%) will not be applied here. Each player will pay 100% of the points to his team. determined by the best time of each team in the race. Ce fichier a été mis en ligne par un utilisateur du site. Identifiant unique du document: 01908365.